In our weekly roundups, the encompass team take you through all the breaking news on Know Your Customer (KYC), compliance and financial crime, keeping you informed at all times. This week, we look at the future of flying taxis and Russia seeking prosecution of American officials on money laundering charges. As always we have seen financial criminality occur across the globe with news this week from Australia of money laundering pushing up property prices, a UK fraudster who made off with millions, and a restructuring at the German Financial Intelligence Unit. Is it possible that illegal transactions in the Australian property market are pushing up property prices? That’s the question being asked by Iain Gillespie in Domain. Reports over the last year have illustrated that there is a genuine problem in Australia with money laundering in the Australian property market. AUSTRAC, Australia’s financial crime intelligence authority, reported $1 billion in suspicious transactions from China alone into Australian property in 2015. A Transparency International report failed Australia in ten out of ten areas that allow criminals to easily purchase properties anonymously to hide stolen money. Sinyee Koh of Duff & Phelps has written in Brinknews Asia on the implications of financial crime on business across the Asian region, while also outlining some of the problems that firms have in establishing money laundering procedures. Some of the most prominent that Koh outlines, include different regulations in different nations, no one checklist being available for firms to follow, and the evolution of both the crime and the methods of detection. Russia is ready to charge several Americans with money laundering offences in the wake of last week’s meeting between US President Donald Trump and Russian President, Vladimir Putin, in Helsinki. Following the dramatic offer from President Putin to allow reciprocal questioning by intelligence agencies of criminal suspects, Russia is ready to charge former American Ambassador, Michael McFaul. 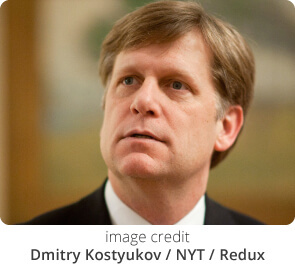 McFaul is allegedly linked with former hedge fund manager Bill Browder. We’re ready to send another request to the U.S. authorities to grant us permission to question these very employees of the U.S. intelligence agencies, as well as a number of other U.S. government officials and businessmen, in order to charge them for the crimes committed by (Bill) Browder. The EU and Israel have signed a cooperation agreement to combat money laundering. The cooperation will see strategic insights shared between the two, as well as joint planning of operational activities. The agreement will enable the Investigations and Intelligence Division of the Israel National Police to advance its capabilities to deal in the best way possible with new threats in the field of organised crime, cybercrime exploited by international criminal and terrorist elements, fighting terrorism in its various forms, and crime that crosses borders in the field of social economies. Germany’s Financial Intelligence Unit, set up only last year, is to be overhauled with new powers and personnel in an attempt to turn around the fortunes of the flagging unit. German experts have put the scale of money laundering in the EU’s biggest economy at almost $60 billion. In response the size of the unit will be trebled from 165 to 475 employees. A fraudster who headed up a gang that swindled investors of more than £8m has been jailed. After duping 350 elderly and vulnerable investors of cash, Anthony Kemp then used the money on foreign travel, a house in New Zealand and trips on the QE2. New technology seems to impress more by the week, and this week is no exception. 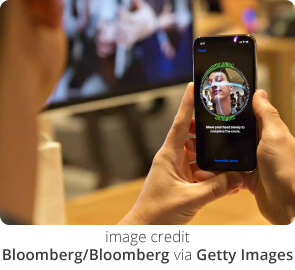 This week we look at the future of facial recognition, whether the need for a ‘robot tax’ has yet arrived, and the future of technology could come out of…. France? The Telegraph have a checklist for companies that wish to not be the victims of cybercrime. Their number one piece of advice? Preparation. A large swathe of those that were victims of cybercrime last year also had employees that lacked sufficient training, while others believe it “simply won’t happen to them’. Criminals are now, however, actively targeting small businesses. Microsoft president Brad Smith has written an essay on the company’s website calling for the regulation of facial recognition technology. Given its potential both as a method for solving crime, but also tracking individuals throughout their daily lives, the Microsoft resident believes an “expert council” is required to decide on the correct level of regulation. Techcrunch argue that the political policies employed by the United States and the UK following Brexit mean that there will be fewer immigrants arriving on US/UK soil. However, the propensity for immigrants to start companies mean that these two countries will suffer as a result. In contrast, the French have been actively courting their immigrant community, and, combined with president Macron’s understanding of technology, could mean that that it is the French who will create the next swathe of tech companies. The argument that automation will mean a reduction for the requirement for a labour force has been made multiple times, but should the robot workforce then be made to pay income tax? With fewer humans in the workforce there will be less tax revenue for governments to collect leading to a potential downturn in public services. For now, this proposal has been rejected by the EU, who voted against taxing robots, but now, the UK Government is asking the question, and has launched an inquiry. A robot tax would undermine investment, limit employee skills and income, and risks relegating British business and the British economy to second or third-tier status. It is perhaps understandable that structural change brought about by technology and automation could bring a level of nervousness amongst policymakers, but taking a 19th century approach to the subject would undoubtedly prove ruinous. This week in cryptocurrencies, we look at whether the bank of England is behind, or ahead of the curve on crypto, and investment houses beginning to look at digital currencies. A spat has broken out between some MPs and the Bank of England over whether the Bank has fallen behind the curve on cryptocurrency regulations. The allegations were made by the UK Treasury Committee, but have been flatly denied by the Bank. Perhaps unsurprisingly, the group of MPs were also concerned by the possibility of money laundering through the use of crypto tokens. Meanwhile a new report published this week has argued that the UK is in a very strong position to become a global leader in digital currencies. A Bitcoin investor has been sentenced to a year in jail in the United States for money laundering. Theresa Lynn Tetley laundered Bitcoin following its use in drug sales and running a Bitcoin-for-cash exchange. She also surrendered almost $300k in cash, 25 gold bars and 40 Bitcoins. Blackrock is considering moving into Bitcoin. Bitcoin’s price rose $280 on the back of the announcement from $6,360 to $6,646. Risk consultancy firm Verisk Maplecroft have released a report stating that low-paid employees in Asia could be at risk of modern slavery due to a race to the bottom as a result of displacement of jobs caused by AI and automation. 137 million people in Asia are at risk of losing their jobs because of AI, the United Nations has reported. However, this has been countered by PwC, who have stated that AI will generate as many jobs as it removes. Our estimates suggest that AI will not lead to technological unemployment as we project that it will displace around 20% of existing UK jobs by 2037, but create a similar number. In absolute terms, around 7 million existing jobs are projected to be displaced, but around 7.2 million are projected to be created, giving a net jobs boost of around 0.2 million. Some of those jobs created could be in healthcare, where The Telegraph reports that AI could revolutionise healthcare. They report on a robot called “Babylon” that can help diagnose patients conditions. Meanwhile 2,400 scientists and researchers have said that they will not create robots or AI that can identify and eliminate people’s roles without human oversight. The governor of the Bank of Thailand has confirmed that they are investigating the use of blockchain technologies for certain applications including cross border payments, supply chain financing and document authentication. Aircraft manufacturer Boeing has signed an agreement with AI company SparkCogniton to track unmanned aircraft. SparkCognition have confirmed that blockchain will be critical in their application used to track the aircraft.